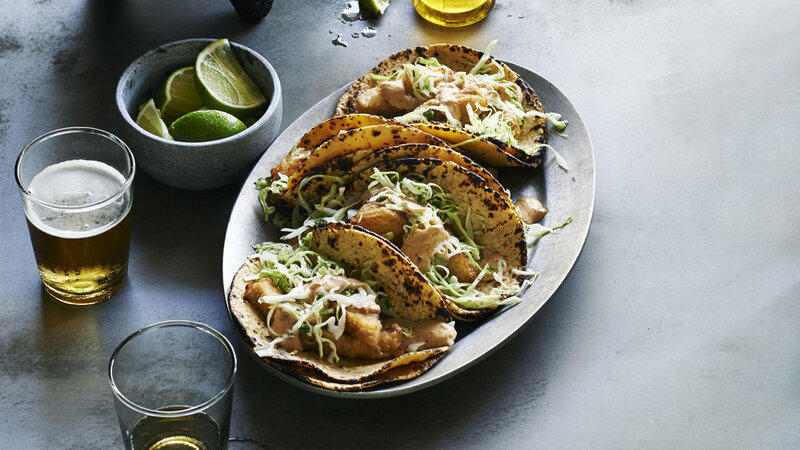 We’ve cooked many a fish taco, but this one is unsurpassed—a fresh, crunchy, creamy version of a Western classic. 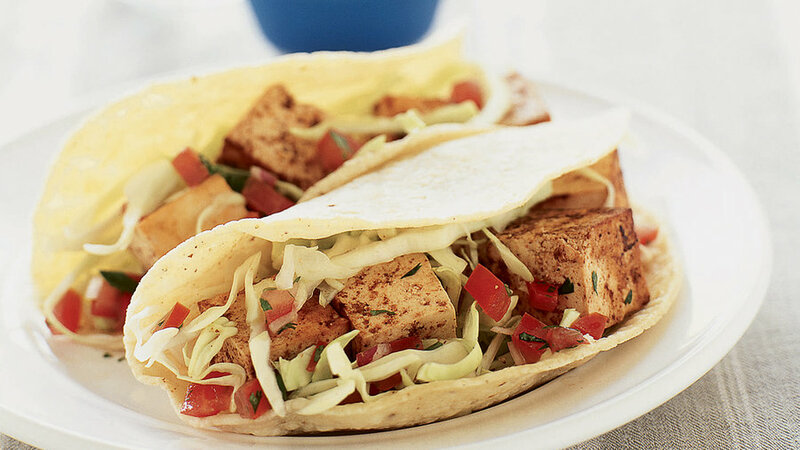 Slow cooking gives this taco filling a rich deep flavor. Serve with a variety of toppings and let diners fill to their liking. 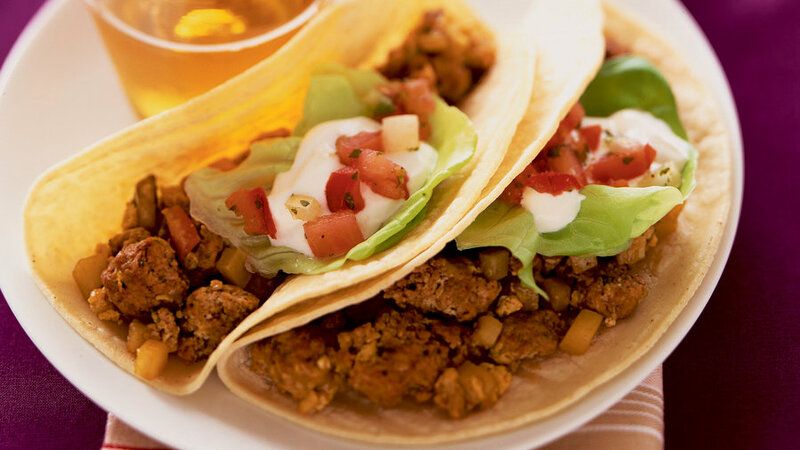 Fry these tacos ahead of time and re-crisp them when you’re ready to serve. A great choice for Meatless Monday! 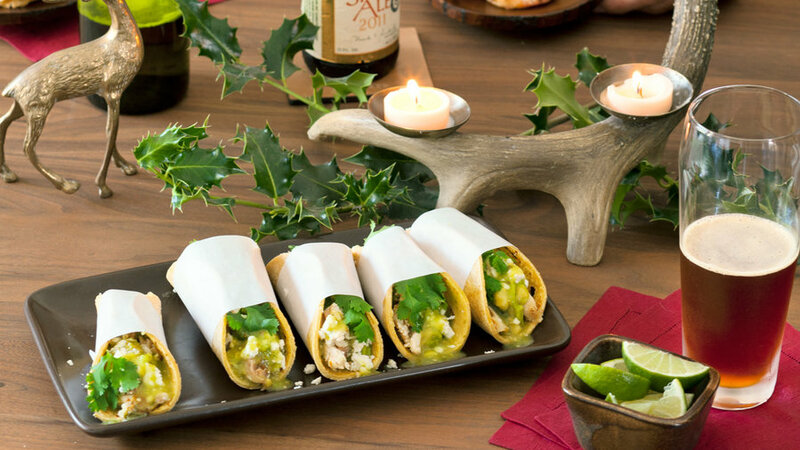 Traditional Mexican flavors paired with soy sauce make for a satisfying and tasty taco filling. Goat is a popular taco filling in Mexico but can be hard to find at your local grocery store. 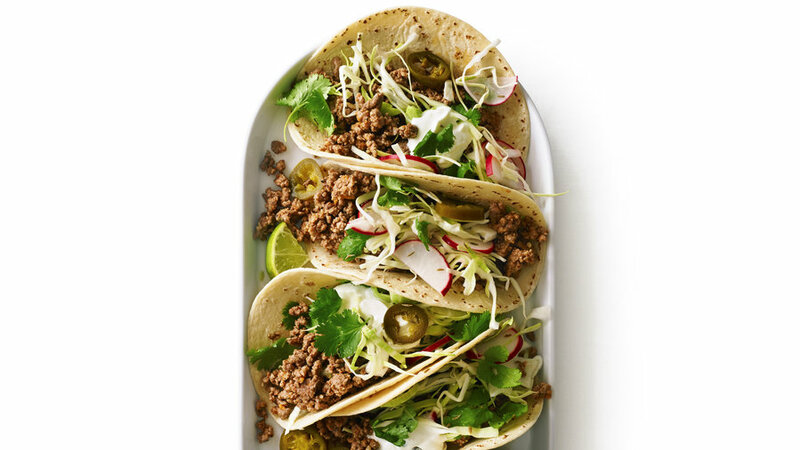 Ground lamb is readily available and blends beautifully with Mexican herbs and spices for quick weeknight Mexican menu. 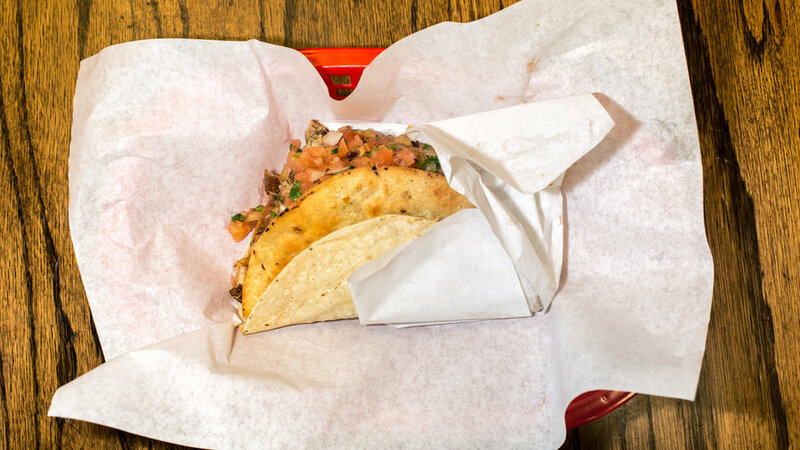 Wrap mouthwatering carnitas in a quesadilla for a taco that’s extra special. 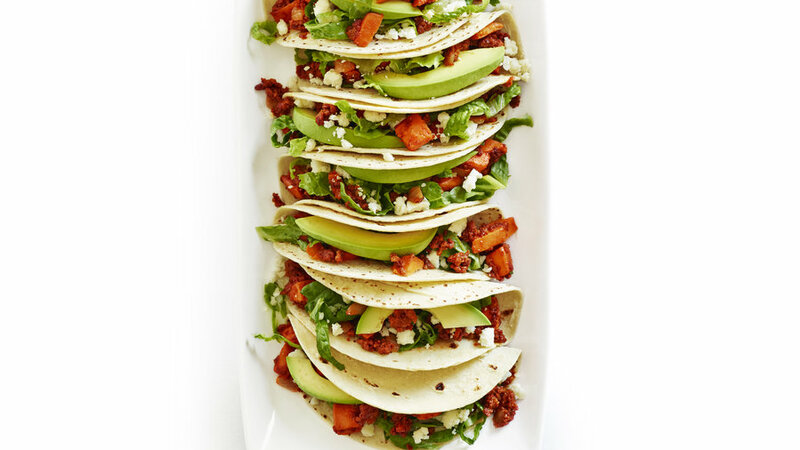 Loaded with spices, chorizo brings lots of flavor to tacos with very little work for the cook. The veggies add texture and sweetness. 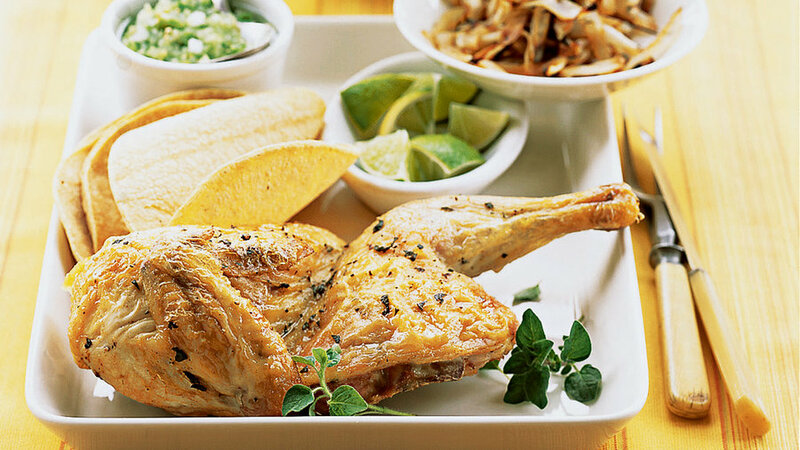 Butterfly chicken and roast over onions for an easy taco filling. This recipe makes enough for a dozen or so tacos. Use leftovers in salads or sandwiches. 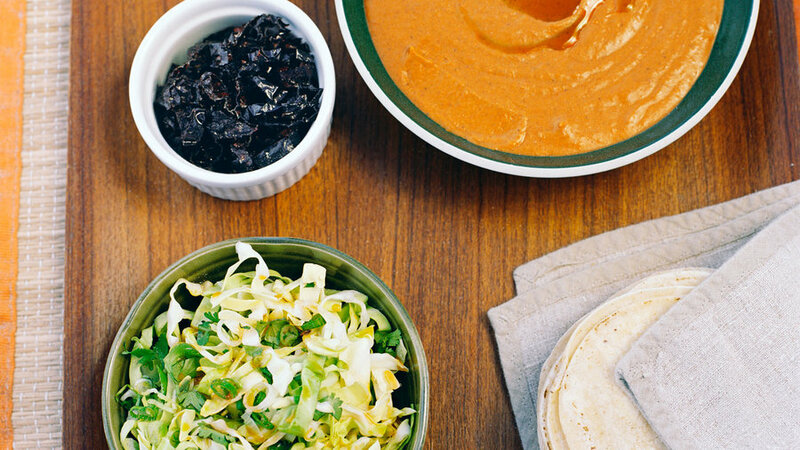 The next time you buy canned pumpkin, think tacos. 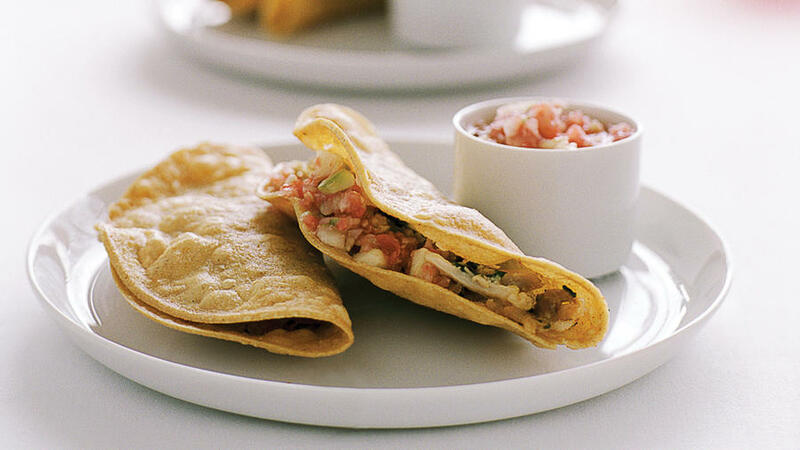 The creamy filling combined with crisp, spicy slaw and crunchy pepitas results in an unforgettable vegetarian treat. Bring a little of the street to your next party with these easy appetizers. We like them with salsa verde, but any salsa will be equally delicious. We love these tacos for dinner, but the eggs and potatoes make them great for breakfast, too.